BOTOX® Cosmetic is a remarkable treatment that erases frown lines, worry lines, and crow’s feet. It also maximizes and extends the results achieved through laser skin treatments. Treatments are nearly painless, and effects last 3-6 months. I’VE HEARD BOTOX® COSMETIC IS THE SAME AS BOTULISM TOXIN. IS THAT TRUE? Not exactly - BOTOX® Cosmetic is the purified toxin produced by the botulism bacteria! It works by selectively relaxing muscles that contribute to frown lines and certain other facial wrinkles. So why don’t you get botulism? The amount of BOTOX® Cosmetic I would need to inject all at once to give you botulism is over 100 times the amount given in an average session, and there is no cumulative effect from session to session. WILL I LOSE NORMAL FACIAL EXPRESSION? No. Great BOTOX® Cosmetic means looking younger and more relaxed - not looking frozen. When properly placed, BOTOX® Cosmetic relaxes the muscles that cause frown lines or other wrinkles but does not otherwise limit your range of normal facial expressions. WILL BOTOX® COSMETIC ERASE ALL WRINKLES? No - BOTOX® Cosmetic is best for wrinkles that form as a direct result of muscle contraction. Frown lines and crows’ feet are the best examples. With continued use, these wrinkles soften over time and may even disappear. Wrinkles in other areas of the face, such as the smile lines, cheeks, or undereyes, are usually better suited for chemical peels or injectable fillers. WILL I HAVE TO USE IT FOREVER? BOTOX® Cosmetic usually lasts 3-4 months, by which point the muscles that cause the frown lines or other wrinkles are fully active again. Most people choose to repeat the treatment at that point to maintain their results. For those who do not, however, their facial expressions and muscle motion continue stay normal, just like before they ever had BOTOX® Cosmetic. BOTOX® Cosmetic was the first approved facial injectable for reducing fine lines on the face by relaxing muscles, but others exist including Dysport and Xeomin. At Swann Dermatolgy Surgery, our skin cancer team is led by a board-certified dermatologist who is fellowship trained in Mohs skin cancer surgery. Dr. Michael Swann completed a fellowship in Mohs micrographic surgery at Scripps Clinic in La Jolla, California. Our staff is dedicated to the highest level of procedural dermatology care including advanced skin cancer management, Mohs surgery, reconstructive surgery, laser & cosmetic dermatology. Dr. Swann is the only physician in the Ozarks with fellowship training in Procedural Dermatology, which includes advanced training in Mohs micrographic surgery, reconstructive surgery, advanced cosmetic procedures including cosmetic lasers and leg vein treatments. Mohs Micrographic Surgery is the most advanced and effective treatment procedure for skin cancer available today. The procedure is performed by specially trained surgeons who have completed at least one additional year of fellowship training (in addition to the physician’s three-year dermatology residency) under the tutelage of a Mohs College member. Initially developed by Dr. Frederic E. Mohs, the Mohs procedure is a state-of-the-art treatment that has been continuously refined over 70 years. With the Mohs technique, physicians are able to see beyond the visible disease, to precisely identify and remove the entire tumor layer by layer while leaving the surrounding healthy tissue intact and unharmed. As the most exact and precise method of tumor removal, it minimizes the chance of re-growth and lessens the potential for scarring or disfigurement. Because the physician is specially trained in surgery, pathology, and reconstruction, Mohs surgery has the highest success rate of all treatments for skin cancer - up to 99 percent. The Mohs technique is also the treatment of choice for cancers of the face and other sensitive areas as it relies on the accuracy of a microscopic surgical procedure to trace the edges of the cancer and ensure complete removal of all tumors down to the roots during the initial surgery. Mohs Micrographic Surgery is an effective and precise method for treating basal cell and squamous cell skin cancers. Because the Mohs Micrographic Surgery process features a systematic microscopic search that traces skin cancer down to its roots, it offers the highest chance for complete removal of the tumor while sparing the normal tissue surrounding it. Clinical studies conducted at various national and international medical institutions - including the Mayo Clinic, the University of Miami School of Medicine and Royal Perth Hospital in Australia - demonstrate that Mohs surgery provides five-year cure rates up to 99 percent for new cancers, and 95 percent for recurrent cancers. Mohs Micrographic Surgery is primarily used to treat basal and squamous cell carcinomas, but can be used to treat less common tumors including melanoma. Mohs surgery is usually an outpatient procedure performed in a physician’s office. Typically, it starts early in the morning and can be completed the same day, depending on the extent of the tumor and the amount of reconstruction necessary. Local anesthesia is administered around the area of the tumor so the patient is awake during the entire procedure. Dr. Swann is also trained in reconstructive procedures and often will perform the necessary reconstruction to repair the wound. a small, simple wound may be allowed to heal on its own. a slightly larger wound may be closed with stitches. larger wounds may require a skin graft or a flap. if the tumor is very large, another surgeon with special skills may be called upon to assist with reconstruction. Post-surgical check-ups are recommended in order to monitor the patient’s progress and spot any possible cancer recurrence in a timely manner. Since two of five patients with one skin cancer will develop another within five years, follow up is extremely important for early detection of any new lesions. As the incidence of skin cancer soars, greater focus is currently being placed on the cost effectiveness of treatment. Over the past decade, studies have been conducted to calculate and compare the costs of Mohs Micrographic Surgery with those of traditional surgical methods. Studies cited in Journal Watch Dermatology show that Mohs surgery is no more costly than standard excision and less expensive than radiation therapy or excision in an ambulatory surgery center. Because the process of Mohs Surgery minimizes the risk of recurrence, it reduces and frequently eliminates the costs of larger, more serious surgery for recurrent skin cancers. Mohs Micrographic Surgery is named after its founder and originator, Frederic E. Mohs, MD. As a medical student from 1929 to 1934, Dr. Mohs conducted cancer research projects while working for his mentor and zoology professor, Michael Guyer. Dr. Guyer was familiar with the preparation of frozen tissue for producing microscopic slides and had authored a book explaining how to harvest and process tissue for microscopic examination. The book focused on the need for examining, drawing and documenting discoveries that were made with the microscope. These microscopic techniques were later used by Dr. Mohs to map out cancer around nerves, blood vessels, muscle and bone. The cancers he examined were removed by shave or saucerizing excision, a technique that removed cancer as a thin disc of tissue so that the tumor and the inflammatory white-cell infiltrate surrounding the cancer could be examined with the microscope. Dr. Mohs trained several dermatologists in the field, including Dr. Swann's fellowship director. Dr. Swann has been practicing in Springfield since 2008. Esteya brachytherapy is a non-surgical radiotherapy used to treat non-melanoma skin cancers and is now available at Swann Dermatology. If you have an examination scheduled, it’s best to either come to your appointment without anything on your skin, including foundation or makeup. This can be removed at your appointment, but you should a lot time to replace any makeup afterward, if necessary. Before you come see us, take a glance at your skin in a full length mirror and make note of any areas that stand out or cause you concern. Dr. Swann recommends that patients routinely do self-examination once per month after bathing in front of a full-length mirror. Even without knowing much about skin disease, patients are very good at finding changes in their skin. Our paperwork will question you about your history of sun exposure, sunburns, etc. and if any specific spots have been bothering you. Then we’ll have you change into an exam gown. Skin cancers can occur where the sun doesn't shine. We can examine you with your underwear on, but would prefer you to have you remove your socks. If you prefer a limited exam (just the waist up, most intense sun damaged skin or only certain moles) we can accommodate. During the exam, we may use alcohol on the skin and sometimes use magnification or special lighting. Your physician or physician assistant will be dictating their findings out loud to a medical assistants who makes sure that everything is documented in your medical record. The medical assistant may document some areas with photos during the exam. Routine skin checks might seem cursory to a patient, but even if a skin check seems quick, we take our examinations very seriously and spend time on areas of concern. These may be subtle to most patients, but this is our interest and passion. 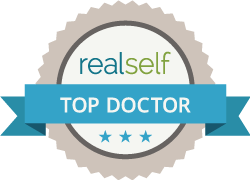 Dr. Swann and our staff realize that sometimes after your skin check, you worry something has been missed and it is important for us to relieve any concerns or take appropriate action on areas that may be a concern to us. When we come to a spot that you are worried about, don't hesitate to point the area out it out us so that your concerns can be addressed. Cryotherapy – A quick spray of liquid nitrogen is used to remove lesions that sit on the surface of the skin (for example, pre-cancerous actinic keratoses. Skin biopsy – A small sample of a suspicious lesion is removed under local anesthetic. It is then sent to a lab to be examined under a microscope to determine if further treatment is needed. Many people have lots of spots on their skin that are not worrisome (for example, skin tags, sunspots and benign moles). Although these can be treated if they are causing discomfort, or if there is a cosmetic concern, our team gives their initial attention to any spots that have the potential to be cancerous. If you have something on your skin that bothers you cosmetically, let the doctor know and they can talk to you about treatment options. Simple cosmetic concerns can often be treated at the time of your skin exam if there is time and you will be given a price to cover these non-medical, cosmetic concerns. Payment for cosmetic-related procedures are expected in full at the time of service. We do offer Care Credit and can take credit cards should are expected. To schedule a skin check with someone on our team, call 417-888-0858. Vertical Vector Facelifting by board certified cosmetic dermatologist Dr. Michael Swann in Springfield, Missouri. Facial lines have long been viewed as the sign of facial aging, but volume restoration has changed the way we treat the face to look younger. For decades a skin excising facelift was the standard procedure for making someone look younger, but without volumization this led to tightly pulled faces that had less lines and did look ‘different’, but not necessarily more beautiful. There are 8 distinct areas of the face, both deep and more shallow, that facial volume is critical. Dermatologists began to realize that the facial lines are not generally a result of the skin just stretching out, but of overall volume loss. Adding overall volume to the deflated areas of the facewould help correct the aging face and maintain a youthful appearance, so we began the use of fat transfers. These work fairly well for some people, but necessitate additional procedures of extracting the fat from another part of the body and then preparing and reinjecting in the face. Although fat transfer sounds nice because it is replacing fat loss with a patients own fat, only about 50% of the fat injected usually remains longterm and many patients are unhappy after this procedure. Radiesse is a dermal filler which really does a nice job of volumizing the deep tissues to restore a naturally volumized face and it does have nice longevity. Dr. Swann reported this filler lasting up to 6 years in the skin. Although more permanent products, such as Artefill, have been available for many years, permanent solutions using fillers fail over long periods of time because volume in the face should change with age. Juvederm Voluma has revolutionized volume restoration in the face with soft natural results that can last up to 2 years. We all lose volume in the triple-process of collagen loss, fat loss and bone loss. A robust yet natural feeling and natural appearing filler is the perfect instant solution. Dr. Swann, Autumn Courntey PA, and Jennifer Ott RNP all have advanced training in Juvederm Voluma and can help you achieve excellent predictable results. Some of the products used in a Liquid Facelift include JUVÉDERM® VOLUMA, RADIESSE®, BOTOX®, and DYSPORT®. procedure done used by Dr. Swann to treat uncomplicated spider (red) veins and uncomplicated reticular (blue) veins. The treatment involves the injection of a solution into the affected veins. Dr. Swann uses the liquid and advanced foaming technique depending upon the vein diameter and amount of clinical venous backflow (reflux). Reticular veins can also be known as feeder veins. They are the blue and green veins beneath the surface of the skin.Reticular veins enlarge because of increased pressure in the vein. They can be caused by heredity. You may have reticular veins alone but you may also have spider veins at the same time. Dr. Swann is a board-certified dermatologist with extensive fellowship training in leg veins. He is an active member of the largest venous organization in the United States called the American College of Phlebology. He is trained in simple liquid sclerotherapy and also in more advanced procedures including ambulatory phlebectomy (surgically taking out veins), endovenous ablation (laser threaded inside of larger veins) and foam sclerotherapy. If you have unsightly or tender leg veins or symptoms of heavy swollen legs, we invite you to have a consultation with Dr. Swann. Call 417.888.0858 for an appointment and more information about leg vein treatment. Cosmetic services including a menu of esthetic options available at Swann Dermatology & Esthetics.